It is our turn to add two “sisters” photos to the Nancy Merrill Photography A Photo a Week Challenge: Sisters, Sisters (Siblings). Below are photos taken 42 years apart of Gayle and her two sisters, Doreen and Barbara. Gayle is the oldest and the one pictured on the left in both photos. They are very close in age. Doreen is 16 months younger than Gayle and Barbara is almost exactly a year younger than Doreen. The three of them haven’t been together for a few years so a recent photo will have to be taken next time that happens – perhaps later this year when they’ll be 72, 71 and 70. Barbara hits the big 7-0 on April 3, 2015. 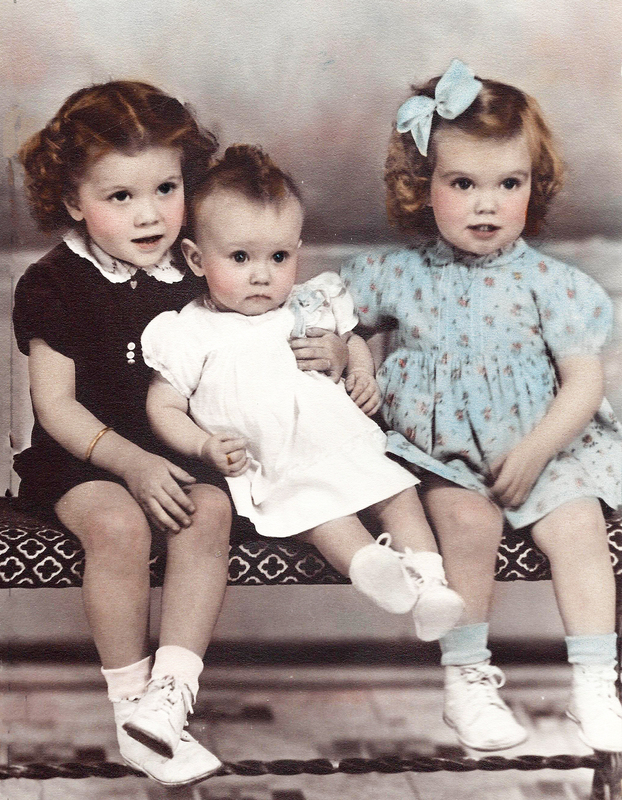 The Moore sisters, 1945 – Gayle, 3, Barbara, not yet 1 and Doreen, almost 2. 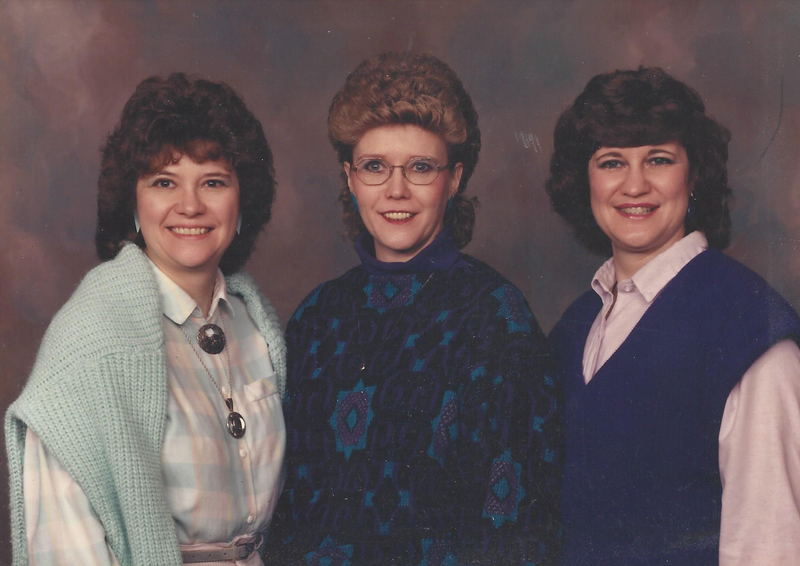 The Moore sisters, 1987 – Gayle, 44, Barbara, 42, Doreen, 43. This entry was posted in family heritage, Photography challenge and tagged children, family, Photo A Week, postaday, sisters. Bookmark the permalink. Wonderful pictures. Thanks for joining the challenge! Thank you and congratulations on your new blog.